It’s March and spring is in the air. The weather will begin to warm up and the Texas Hill Country will be bustling as the trees regain their leaves and the wildflowers begin to appear. This is the perfect time to go outside and take a deep breath of fresh, Caliterra air. Residents of our master-planned community will truly be at home with nature. After all, that’s what Caliterra living is all about. The great outdoors already provides endless hours of fun, but to top it off, there are a lot of health benefits of spending time outdoors. Here are just a few. One of the best things about spending time outdoors is that it can significantly improve your mood. During the winter months, we spend less time outdoors because we don’t want to be cold. However, when you’re not outside, your body isn’t getting sunlight to create vitamin D. Without enough sunlight you can develop SAD, a type of depression, which is very common for people during the winter. Taking a break from all the glowing screens and getting back to the natural world will allow your brain to relax. Your eyes will also relax because they aren’t straining to adjust to your different screens. Being surrounded by nature, like the Texas Hill Country, has been shown to improve creativity up to 50 percent! 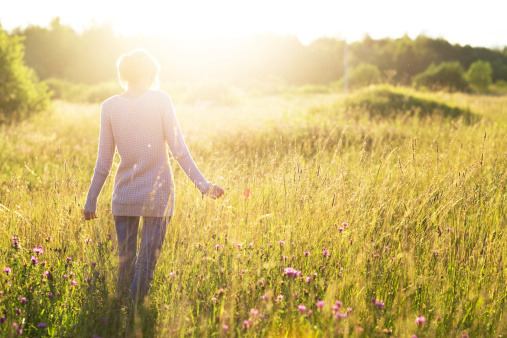 Just as a nature walk can improve your mood, it can also improve memory functioning. In today’s world, our minds are constantly being pulled in a million directions. However, by allowing your mind to settle, you improve your ability to recite numbers and improve memory in general. So if you’re having a bad day, writer’s block or just wanting to get back to nature, a stroll through the Texas Hill Country is just what the doctor ordered. Give your brain a break and unplug. Use the same rules for your nature walks that you use at the movie theatre. Silence your phone and don’t check it. Embrace Caliterra living and allow this time to be your time to unwind and enjoy the wonderful world we live in. Visit our website and experience all the benefits of spending time outdoors in a Texas Hill Country master-planned community like Caliterra.